It was probably difficult to land that job interview, and you don’t want to screw it up! If you can’t interview effectively, your knowledge and work experience will go unnoticed. 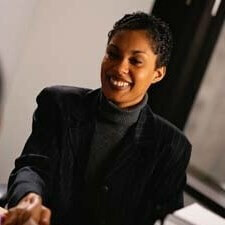 A less qualified candidate may get the job because of better interviewing skills. As they say, you only have one chance to make a first impression. Here’s how to set yourself up for success. It’s not about what you want; it’s all about what they need. Study the job description carefully and identify the four or five most important criteria. What skills do they need the most? Don’t take these notes into the interview but practice reading them, keeping in mind that you need to stop when you reach the end. I emphasize this because it will help prevent you from rambling which is one of the most common interview mistakes. You will want to deliver the information and stop. 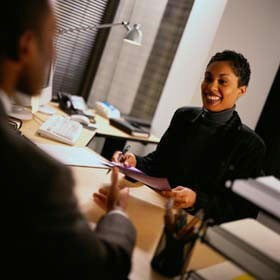 It will then be up to the interviewer to move on to the next topic or ask follow-up questions. Select accomplishments that are among your most significant, ones of which you are proud of. However, be sure to use examples that are most relevant to the specific position. Refrain from bringing up experiences that are not germane. This will only cloud the issue with extraneous information. Throughout the interview, show enthusiasm for the job and the company even if you aren’t sure you will accept an offer. the next steps in the decision process will be and when you should expect to hear back. Also, ask for business cards so that you can write a thank you letter as soon as possible after the interview, preferably the same day and by email so that they receive it immediately.